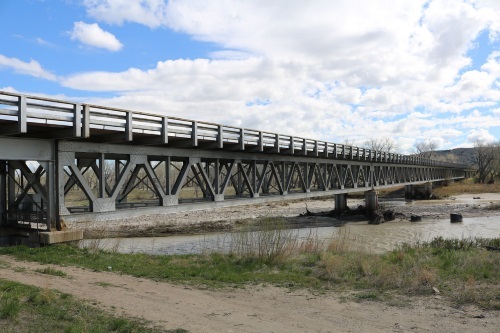 The South Dakota Transportation Commission has awarded 28 preservation, rehabilitation, and replacement bridge improvement grants – known as the BIG program – to 22 cities and counties across the state totaling approximately $13.93 million. The BIG program – created in 2015 by Senate Bill 1 – sets aside $7 million per year from funds generated by license plate fees to be used to repair and replace aging local bridges. The South Dakota Department of Transportation adds an additional $8 million per year, making a total $15 million available for bridge projects. The South Dakota DOT added that 42 applications from five cities and 23 counties across the state were submitted for this round of the BIG program. The agency noted in a March 28 statement that local governments are required to pay a minimum of 20 percent matching funds to participate in the BIG program and get three years in which to spent the grant funds. Additionally, counties must have a wheel tax and a five-year Highway and Bridge Improvement Plan in order to receive a grant.